How do you know when it's time to outsource? As a business owner, things can get crazy. Fast. We move from zero to one thousand things to do in a day, and only a few hours to sleep before you have to start all over again before the morning. The question is: When is it time to outsource your content creation? 1. You feel frantic before bed because you just realized you forgot to post something today. 2. It’s time for bed and you haven’t posted yet, so you pull a random photo from your gallery, slap a quick filter and a meaningless caption to it, and hope for the best. You don’t see as many likes as you had crossed your fingers for by morning. 3. You often repost the same content from one platform to the next. Instagram ≠ Facebook ≠ Twitter. Each platform serves a different purpose and most likely a different community. 4. 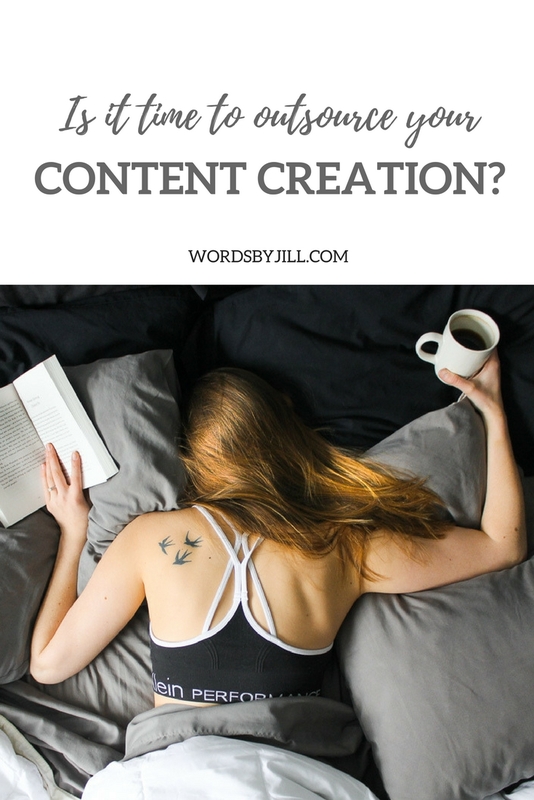 Creating content for your audience feels unnatural and stressful. You’re not quite sure of what they want to see! 5. Creating content was fun at first, but now it’s just another to-do that doesn’t always get done. And because it’s not fun, your content suffers. 6. Time is a problem. Creating content draws away from other aspects of your business. For example, you’re busy editing photos instead of returning client emails or reaching out to potential new ones. 7. You’re not even sure what to post anymore, so you just copy your peers because it seems to be working for them. 8. You post content for yourself, not your audience. Customer-centricity should be the driving force even before your audience becomes customers. Sorry to break it to you, but this isn’t the way to attract followers and potential customers. Content marketing needs to offer value to your audience. It needs to present your business in a positive light. Set you up as an expert in your field. If you can’t provide valuable content, how will your content marketing strategy ever have a chance to succeed? This is where I come in—or at least, someone like me. Content creators are well versed in the digital world. We know the ins and outs of all your favourite social platforms, and we know how to help you come up with a strategy for success. We know how to adapt to your branding, or even help you create a brand. Skills like photography, copywriting, and graphic design are often among those of a content creator. Sometimes creators collaborate to create the absolute best possible results for you—the business owner. Are you feeling stuck with your content marketing strategy? Learn more about my services, or send me an email to start the conversation!